I went for a fish at Isis (Lake Gregory), yesterday with the intent of catching bass on fly. I had a box of bass vampires and also some better bunnies that I had recently tied. While I was packing the boat I was thinking about an article I had read on lureandfly.com.au by Greg Seeto entitled Decisions, decisions, the point in his article I was thinking about was when you are not catching fish about making decisions which end up with you catching some. While this is part of the equation that makes up a good tournament angler it also can be applied to social fishing to have a better day on the water . More fish = More fun. I applied this to myself, often I have spent time on the water trying to catch fish how I wanted to . While sometimes you get lucky and have a good session more often than not you can end up fishless. With this in mind , along with the fly gear, I also packed a baitcast outfit and a spin one as well. To go with these there was spinnerbaits , crankbaits, blade and some plastics. While the plan was to fly fish I though that i would locate the fish then switch to fly. I started off working the dam wall and weed bank with a spinnerbait. 45 min later and no fish I decided to change. I had found fish on a flat in 16ft of water, there were lots of scattered fish but they were not very active. I tied on a copper colored blade and started doing a double hop and letting it drift back to the bottom. Well that was the plan but after the double hop it did not make it back down. I saw the line flick (I was letting it drift back down with slack line) and set the hooks and it was 'on like donkey kong' . After a spirited fight I boated this 40+cm bass. I caught another 3 bass in quick succession, then made the decision to try the fly. Just over an hour later and no fish on fly. As I had not been bass fishing since the elec convention I wanted to catch some more to top off the session. Grabbing the spin rod again , long cast with the blade - couple of hops - hit on the drop. All up I caught 12 bass on the blade in about 40 min of fishing it. I also spent almost 2 hours fishing fly and spinnerbait for nothing. The key to catching bass was working out what they wanted- not what I wanted to catch them on. Working out the technique ensured that you were ready when they were smashing the lure. All the bass hit the blade on the drop or when it was dropping after being hopped. 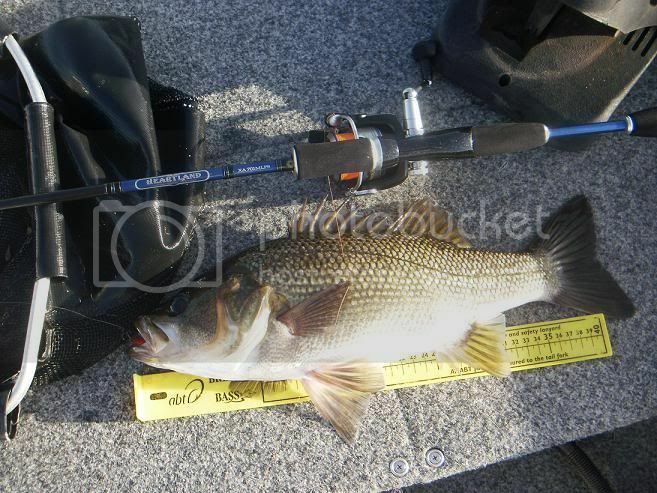 Also retrieves with pauses inbetween hops were more productive ,accounting for 8 of the 12 bass caught. That's a gem of a lake on your doorstep!